I met a very animated grade two class for a walk through Jericho Beach Park on the first sunny day this spring. Since September these grade two students have been learning in the park at least once a week. They have become familiar with the trees, animals and insects while observing the seasonal changes of fall, winter and now spring. Their curiosity about everything around them is infectious and I really enjoyed slowing down and spending time using our human senses to experience the park. 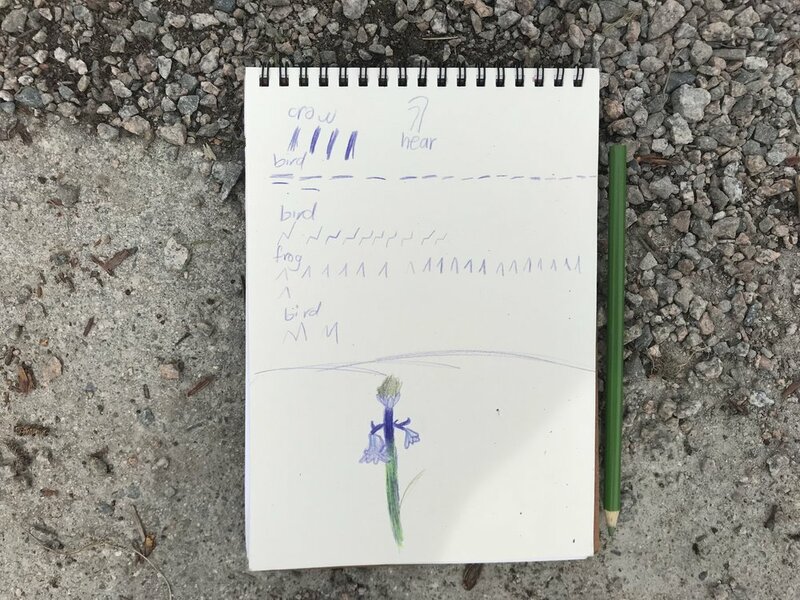 We listened carefully to the birds and frogs, matched pencil crayon colour to our surroundings, and sketched all the tiny details we could make out in leaves, flowers and pinecones. Here are some of those drawings.